Shady Ladies cover Frog Level with quilts when they gather June 8-10 at the Folkmoot Friendship Center for their 16th annual quilt show. The featured exhibit of the 2018 quilt show will be the group’s finely crafted quilts depicting favorite images of Waynesville’s Frog Level district, the Richland Creek historic and industrial area emerging as a major artistic and creative center. After the arrival of the railroad, tourist hotels and boarding houses were built around Main Street. Frog Level was the center of commerce and industry, with buildings for wholesale grocers, coal delivery, feed and seed warehouses, mills and automobile dealers. 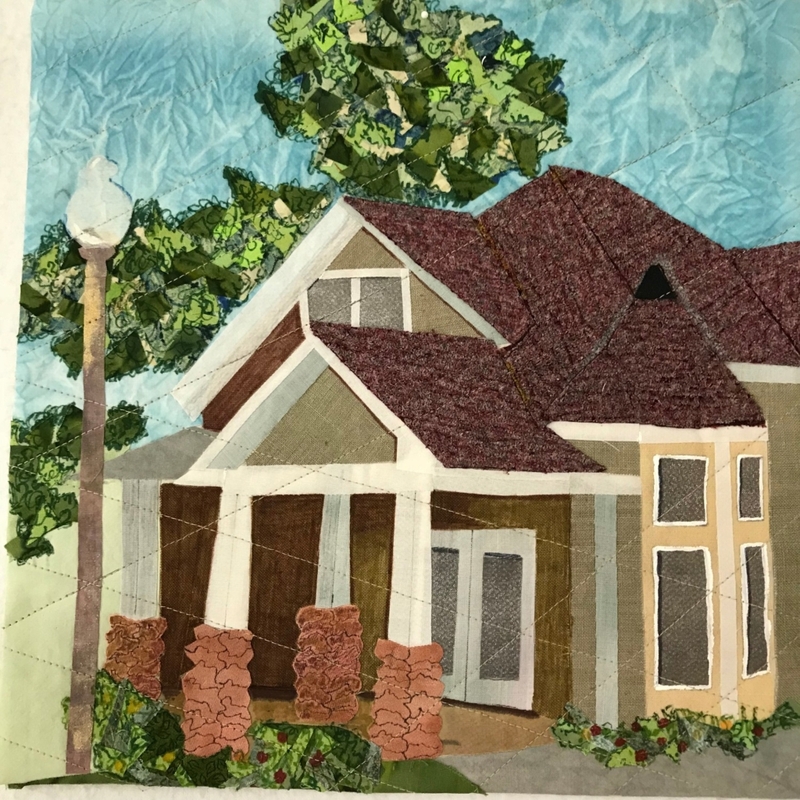 “Frog Level Facades,” the quilt show’s focused exhibit, will include approximately 25 quilts depicting different views of numerous buildings along Water, Depot and Commerce Streets. The small quilts range from realistic representations to artistic interpretations of buildings such as the Mia Salon & Spa, a Queen Anne dwelling built around 1900; the Frog Level Studio, a one-story building constructed around 1920 as a store with dwelling on the back; the warehouse that is now Panacea Coffeehouse, begun in 1913; the building housing the Open Door Ministries, built around 1920; and the frame building on Commerce St. built about 1915 as a Ford dealership. 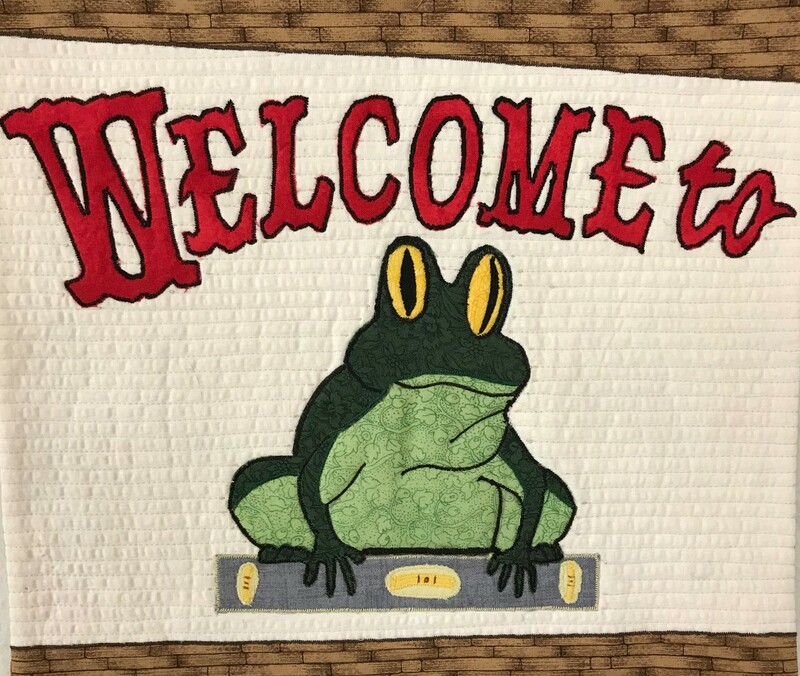 In addition to the Frog Level squares, the Shady Ladies will exhibit 100 of their recently made quilts, ranging from artistic wall hangings to traditional bed quilts. The quilt show will be open Friday and Saturday from 10 a.m. to 5 p.m. and Sunday from noon to 4 p.m.
For more information about the Shady Ladies visit the group’s Facebook page by clicking here. Find out more about the historic Frog Level district by clicking here. Folkmoot’s summer intern comes home, internationally!